appearance on the open market very often from what I've seen. As with my previously posted vintage L&B paper doll, this one was in a sad state when I purchased her; so I had to do quite a bit to revive her where her parts were concerned and then I began the digital process of cleaning her up and creating several new colorized versions of her. Here is one of her New Looks after her total body transformation. Here is what she looked like when I purchased here back in 2010 along with her friend. This was one of those situations where two rare dolls came up for auction and even thought their condition was distressing; I thought I could salvage one good doll out of each set of broken parts. The gamble paid off and I now have two complete dolls and two spare heads of these hard to find ladies. These beauties ran me $45.00 with shipping and were worth that price in their broken condition only due to the rarity of the ladies, based on my knowledge to date - time will tell. I've only seen the pink headed doll come up for auction a few times in the past 3-4 years and this was the only time to date I've seen the smaller green lady, so I'm especially thrilled to own her. and the dolls were so popular they continued to be produced into the early 1900's. 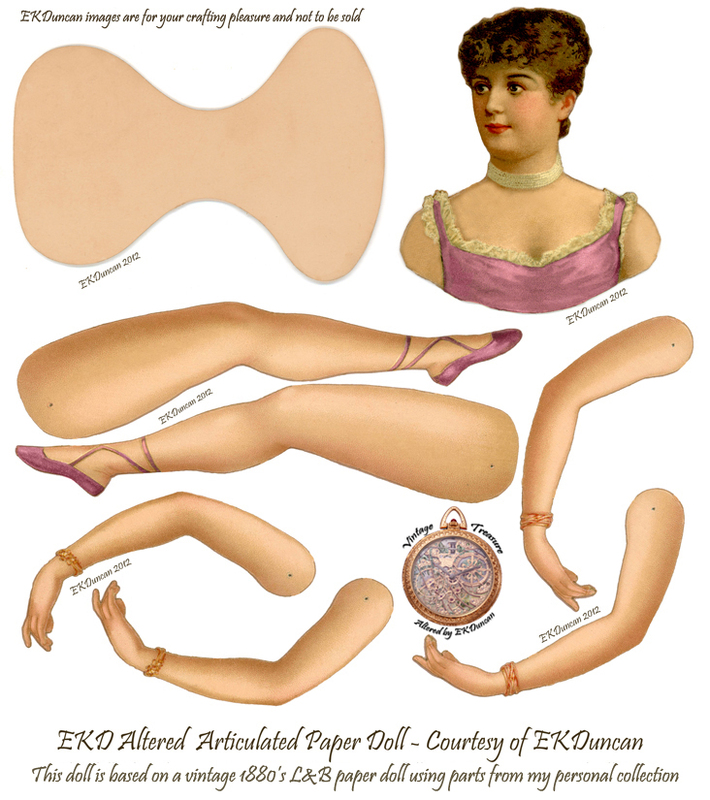 Sadly I do not know for sure what performer from the 1880's -1890's my paper doll represents. 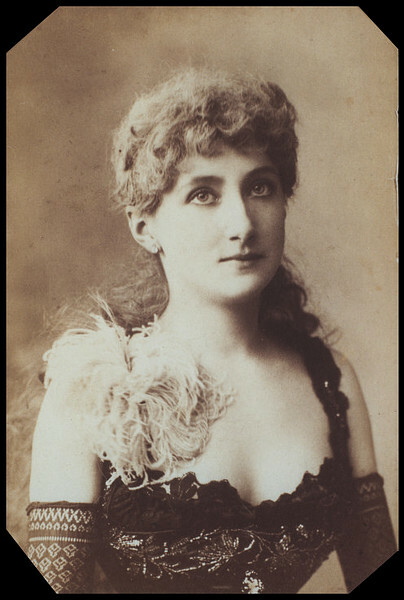 I think she bears a bit of a resemblance to actress Maude Branscombe or Kate Vaughan. 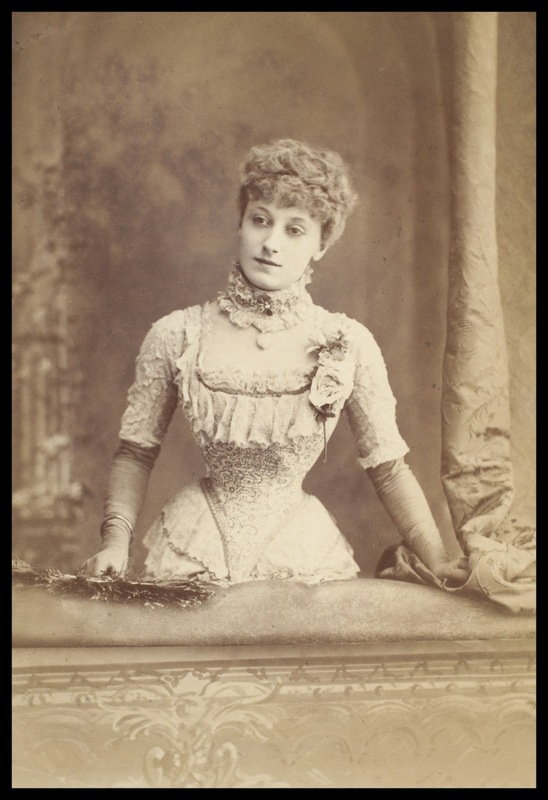 Maude Branscombe was reported to be the most photographed woman of her day. Kate's claim to fame was for her signature "skirt dances" in the 1880's. were well known enough in their day that either one could have represented this paper doll. What do you think, or do you have another suggestion for who this doll may represent??? 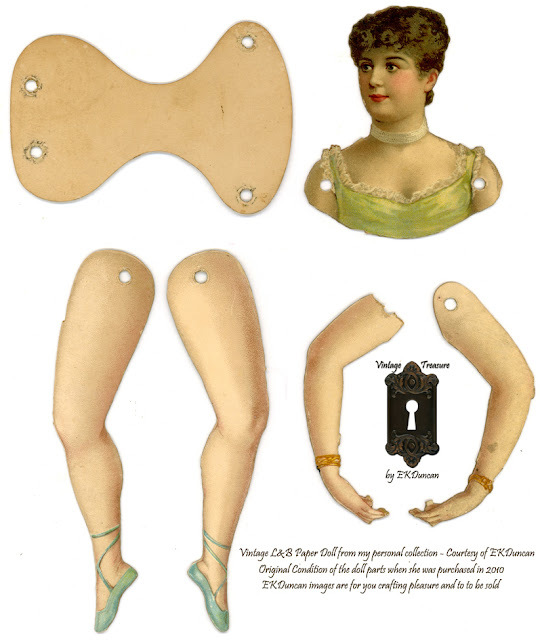 This is what my vintage paper doll looked like after I gingerly removed her grommets/eyelets. 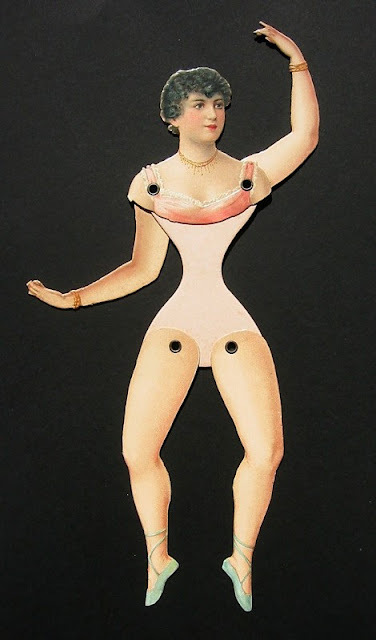 The original state of my paper doll once I removed her "Permanent" grommets. Both of the dolls I acquired in this auction had permanent fasteners in place and it was a tedious job to get them out so I could re-build them. Luckily there were 2 of each doll, so I stood a good chance of salvaging most of what I needed to create one complete doll of each. 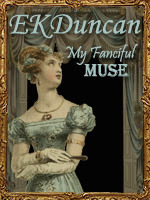 In the case of this beauty I had one good arm and two bad ones of the opposite arm. Luckily I had some spare parts in my collection that allowed me to finish off the dolls properly. Even with the replacement parts she needed some digital refurbishment. So here she is all cleaned up and ready for a new crafting life. several blemished on her limbs, not to mention the huge holes. I like the aged charm of my original dolls but for crafting purposes I prefer a more polished image. so I created a few variations to give me some easy at hand options for later down the line. Here are all the color versions I choose to create for her. Enjoy! And just in case you missed the one at the top of the post here she is for an encore. 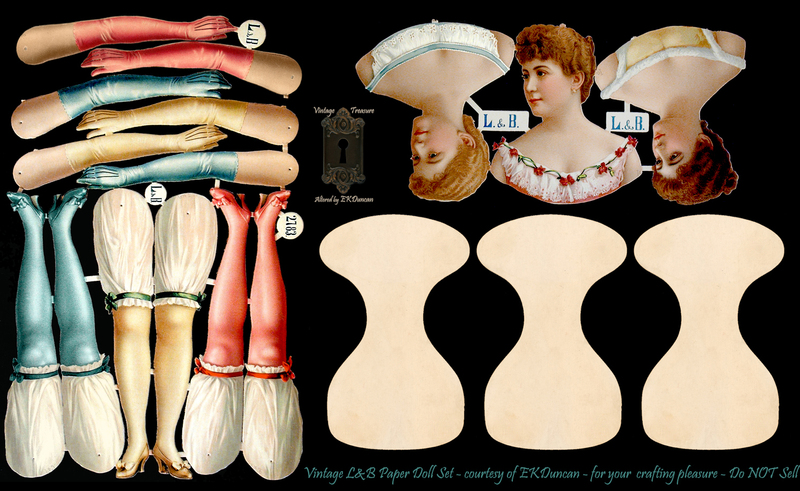 of the other L&B paper dolls I've posted. * Start by downloading the largest available size of the dolls you want to craft with. Downloading Hint: Click on the image you want before saving the image. That way you get the larger downloadable size and not the smaller thumbnail size. give you a high quality print or take to a print center to have them run you a few quality prints. I print mine out on heavy glossy brochure paper using an OKI laser printer. the Ultra Heavy 35-54 lb setting since I use a 44lb brochure paper. Next I click the Job Options Tab and select Fine and then I can print it. (depending on the printer you have your setting placement and options may be different). 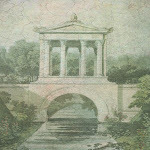 I get lovely printed images that are ready to back, cut, assemble and decorate. 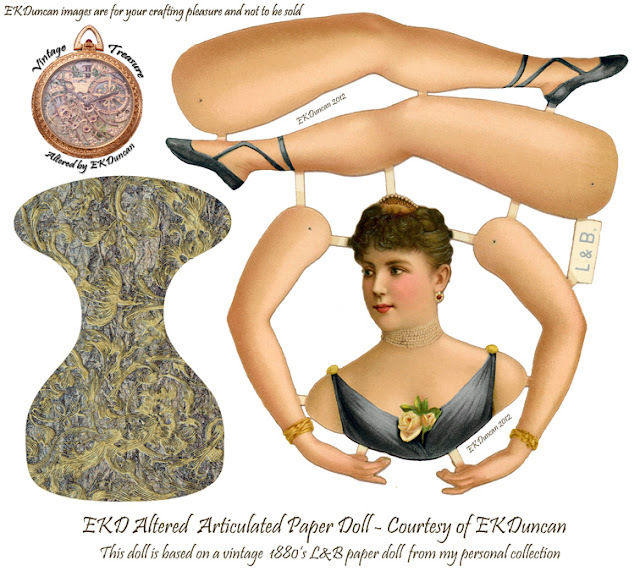 Assembly Tip - Adhere your printed doll to a heavy cardstock or light weight chipboard before cutting and assembling. This will give her greater stability and longevity. 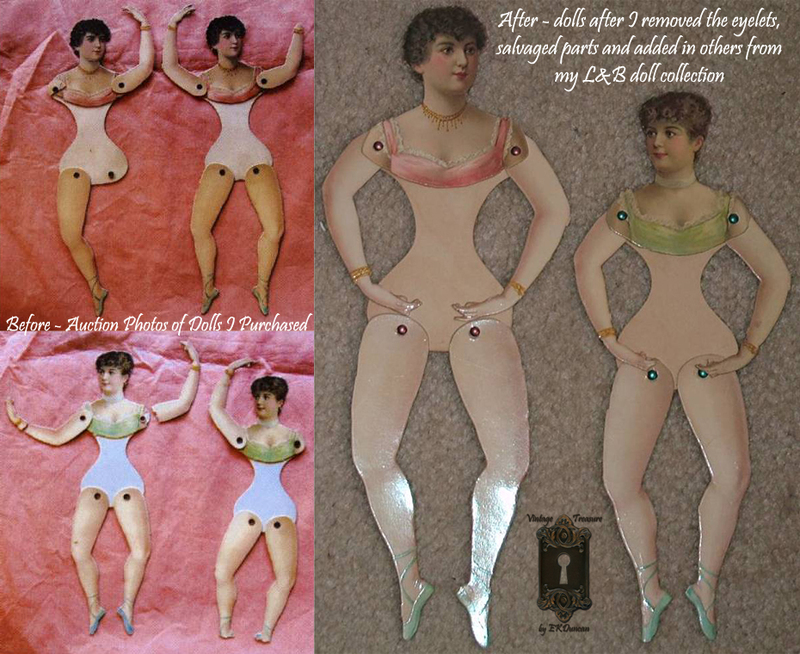 She will also then be of a similar weight to the vintage embossed paper dolls L&B produced. If the back might be viewed, such as in a Christmas tree ornament; you may want to add decorative paper to hide the plain cardstock/chipboard backer or you could rubber stamp the backside of the pieces for a bit of interest. If you are very industrious you can create a 2-sided ornament by printing on version of your doll the regular way and another (even in a different color scheme) printed in "reverse". It's a bit more time consuming but the results are worth the extra effort. I also find eyelets gently put in or mini snaps work well for a 2-sided doll. Brads, eyelets or mini snaps work well for connecting the parts for the doll so she is poseable. 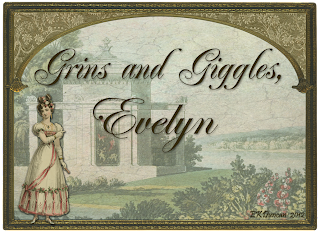 While you're playing with these lovelies, I'm finishing up some others so join me again soon. Always sooooo gorgeous!!! 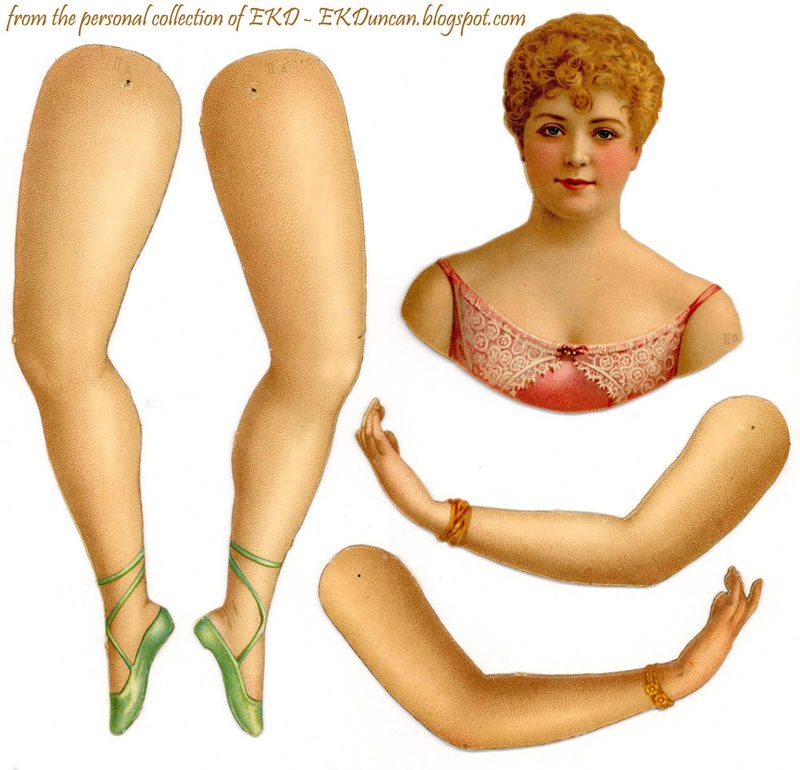 The hair of the paper doll are very similar to those of the lady on the vintage photo, it's amazing! Thank you very much for assembly instructions, it's very interesting! 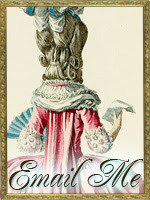 Hey Sweetie - It's always go nice to hear from you!!! I'm glad you liked the instructions. 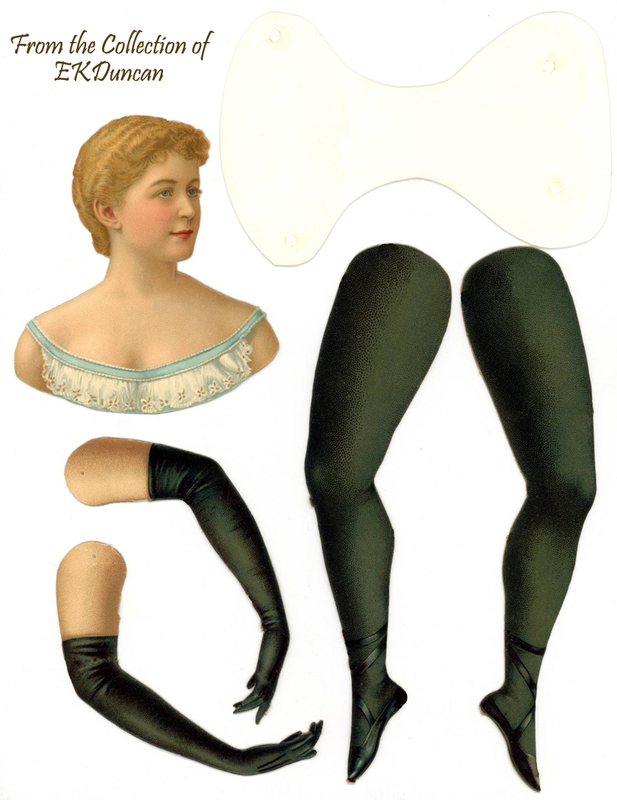 I'll be posting another set of instructions with photos and a few "dressed" dolls soon, so I hope you find them helpful as well. Thanks for sharing these! 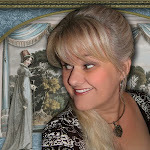 I just posted a piece I created on my blog. 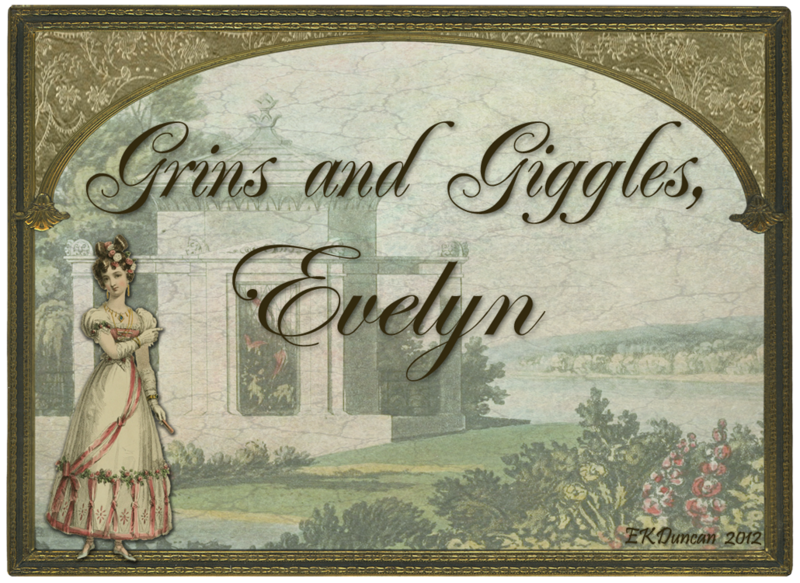 Oh what a fun postcard you've created Anne! 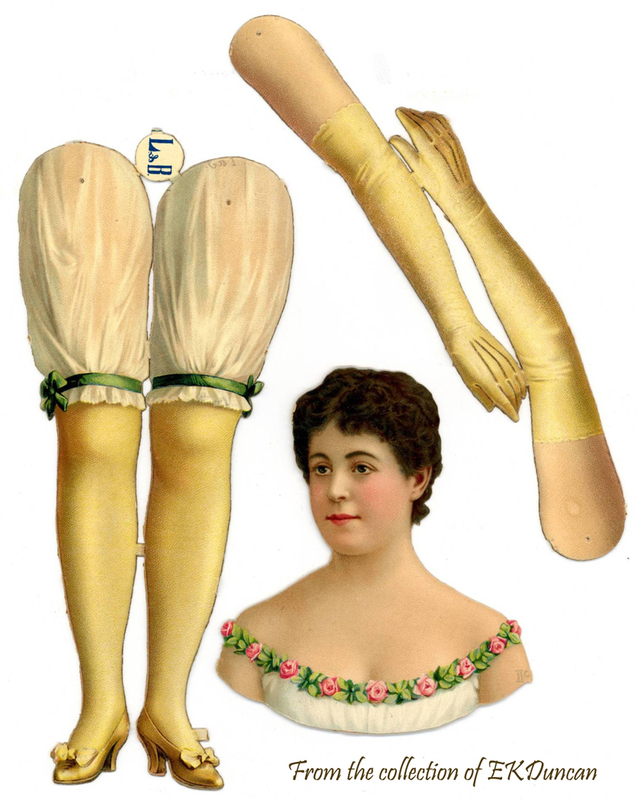 I'm glad you are enjoying the posts and found a great way to use one of these "updated" vintage dolls. Thanks for sharing what you created with it at http://annescreativecornucopia.blogspot.com/2013/04/spread-your-wings-postcard.html and a special thanks for listing back to my blog as to where you found the doll.